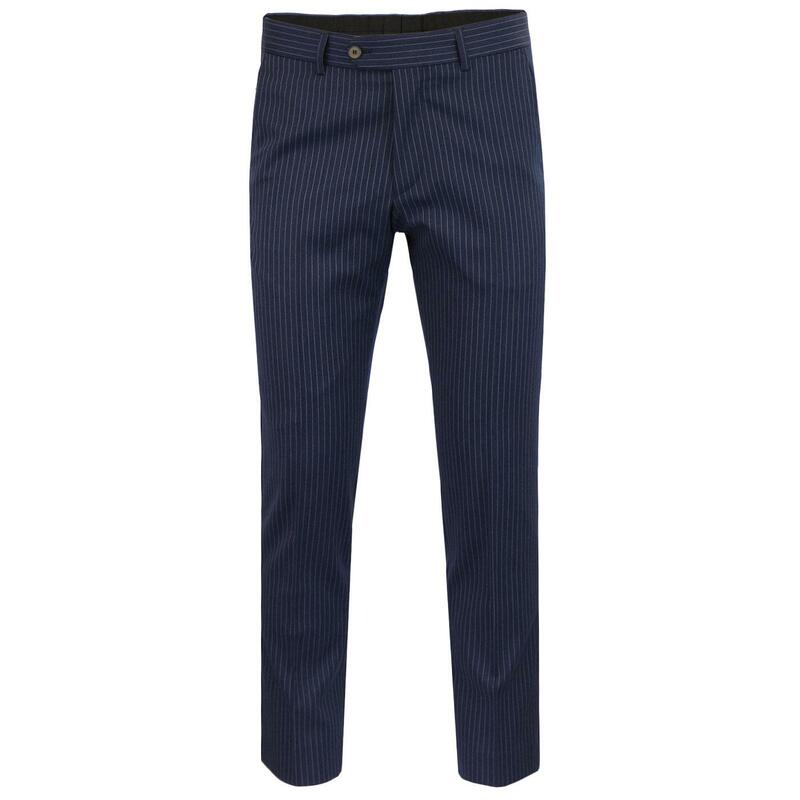 MERC 'WINSTON' MENS RETRO SIXTIES MOD STA PRESS STRAIGHT LEG TROUSERS (Navy). 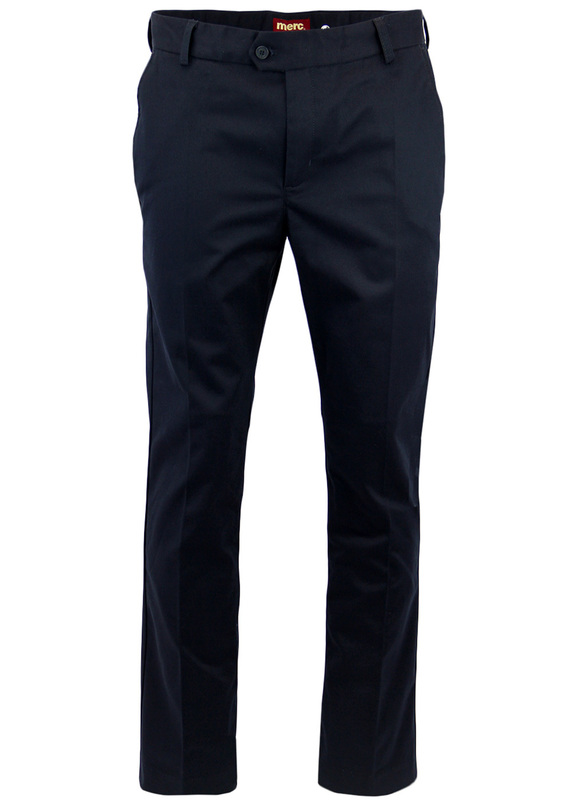 A Mod Clothing staple and a MERC constant, the 'Winston' Mens Sta Press Trousers. A genuine Retro Sixties classic that looks great dressed up as part of a more formal Mod attire or equally as part of a more casual Indie look. A hint of Ivy league charm and a classic Retro straight leg fit - 'Winston' Mens Mod Sta Press Trousers by MERC. 'Winston' by MERC in navy. The classic Sixties Mod Sta Press Mens Trousers with two side pockets and back button down jetted pocket to reverse. Finished with iconic MERC crown embroidery and tab detail to back. Traditional belt loops, sharp and stylish Retro cut with clean stitch finish. 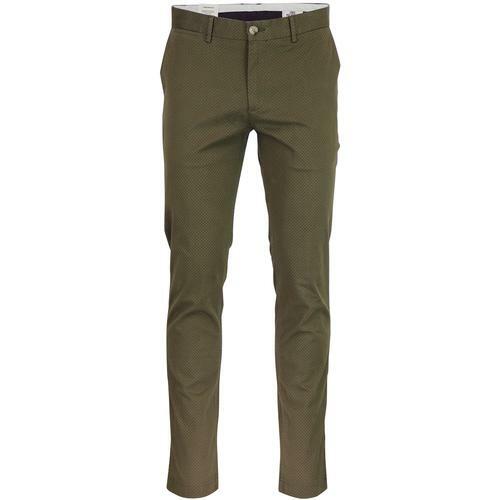 A surefire Retro Mod essential - 'Winston' Sta Press Trousers by MERC. 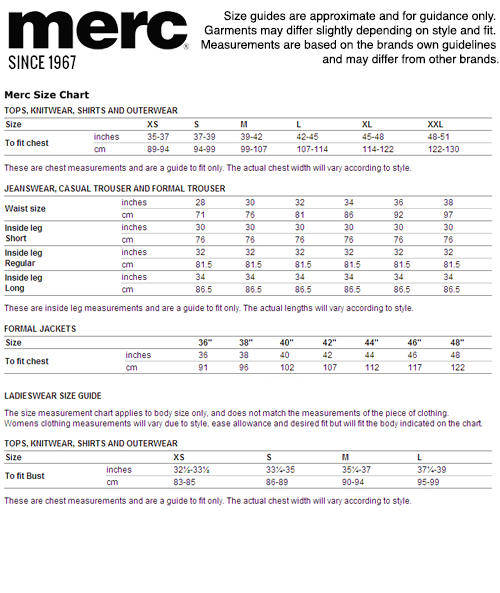 MERC 'WINSTON' MENS RETRO SIXTIES MOD STA PRESS TROUSERS. 'WINSTON' MENS RETRO SIXTIES STA PRESS MOD TROUSERS by MERC - Mens straight leg Mod Sta Press trousers by MERC. In navy with two pockets to sides, button down back jet pocket, MERC crown embroidery and small branded tab detail. Belt loops, button and clasp fastening, zip fly. Sharp and stylish Retro Clothing. SKU: 1210201 'Winston' MERC Sta Press Trousers. 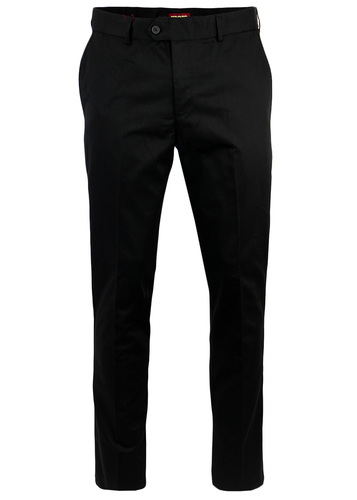 MERC 'Winston' Mens Retro Sixties Mod Sta Press Trousers.